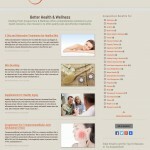 A web design custom that worked how she wanted it to. With an easy Web Tool to organize and create content with. 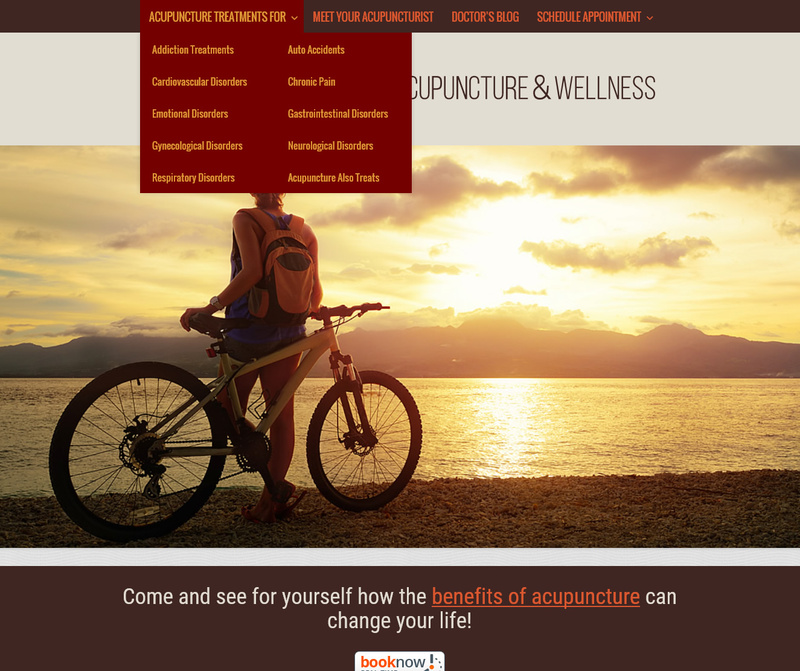 A web design custom beats Wix.com for what this web design client needed to take her Acupuncture practice to the next level. 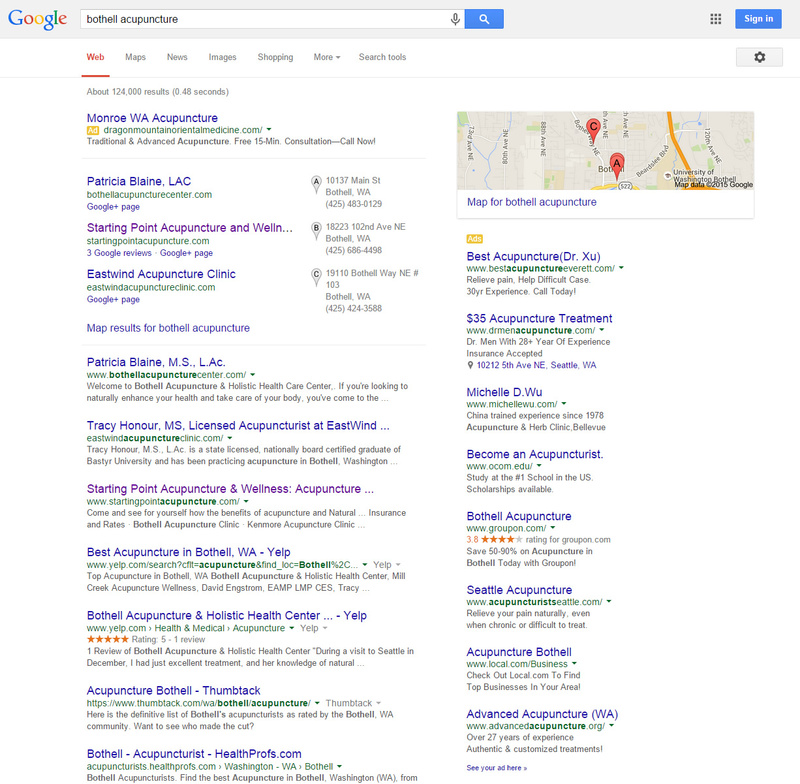 Doctor Heintze found Webvisuals by typing the keywords “Seattle acupuncture” into Google and seeing which acupuncture site showed up first. 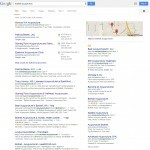 Of course the Web Design company that did the SEO work for this top-ranking site was Webvisuals. 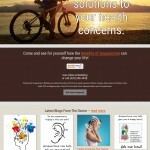 We met online for FREE 1 hour Online Meeting where we reviewed her current website on Wix.com. She was very unhappy with how limited the Wix platform was and wanted WordPress to power her website. We showed her our WordPress websites using the responsive Webvisuals theme and plug-in framework and she was sold. A lot goes into having the best custom web design, but it starts with a smart logo and a memorable color palette. 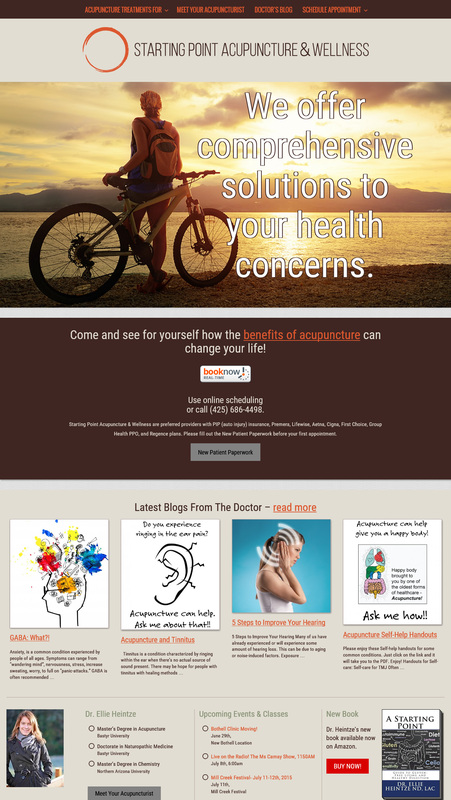 The good doctor provided a really nice logo and pleasing color scheme which we were excited to design the website interface with. We went with a flat web design utilizing a minimalist and simple styling so Ellie’s site looks good across various applications and screen sizes. We custom designed the WordPress main navigation menu so that Ellie could easily and quickly maintain and grow her website. We coded an admin tool called “Treatments” that had specific acupuncture keywords that were found to be very popular on Google built in. 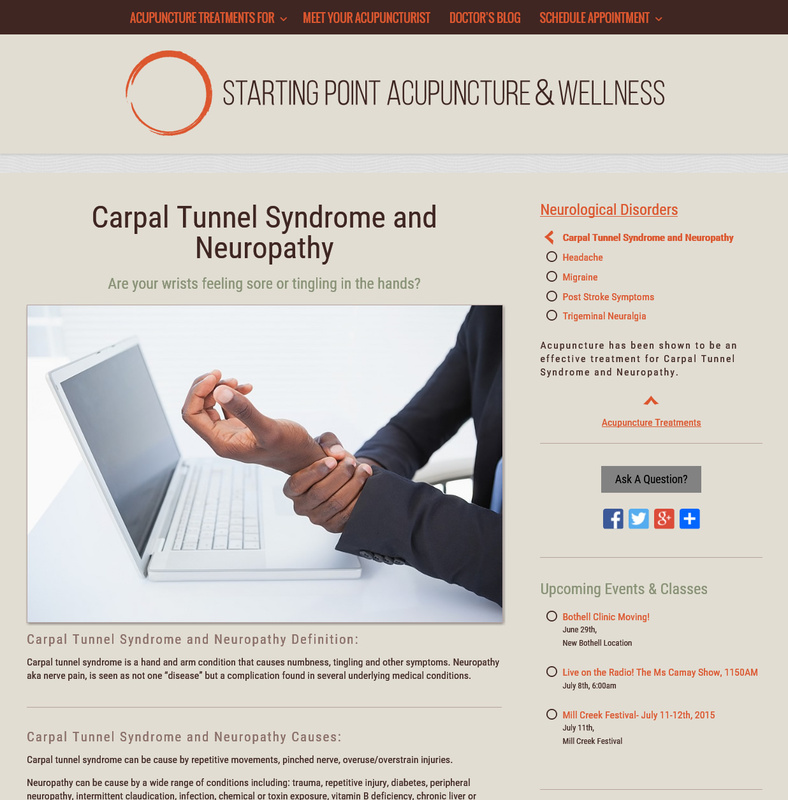 This way her acupuncture treatments were being searched for and found by the right audience in the search engines. 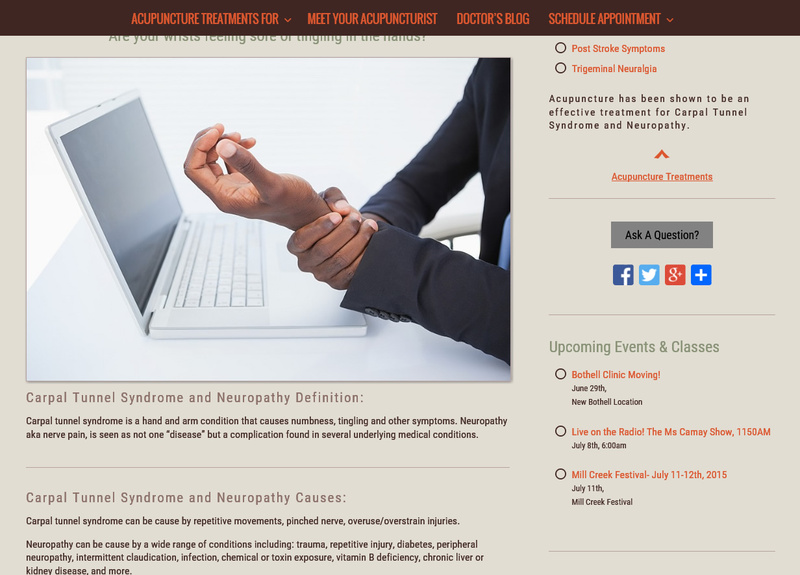 What separated Ellie from other Acupuncturist was that she was a doctor which is quite rare. 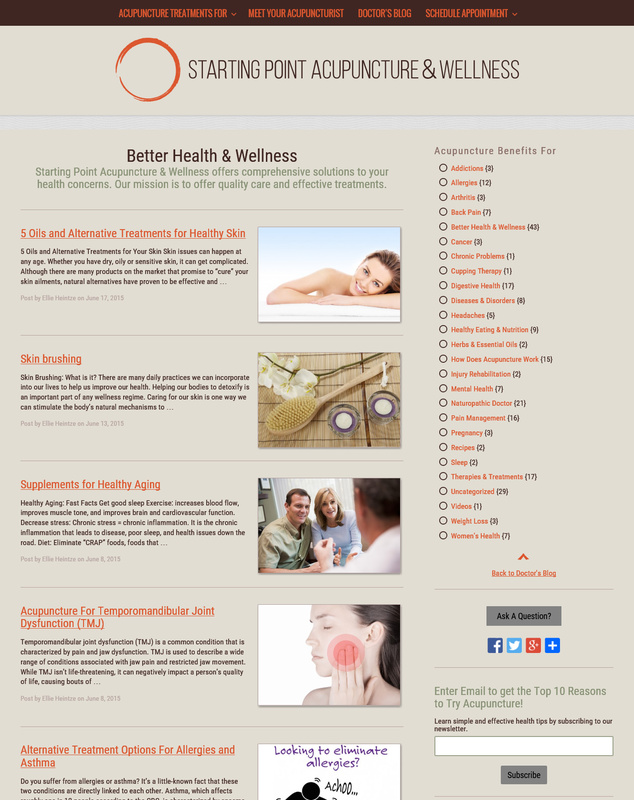 We highlighted this combination with a web design custom blog titled “Doctor’s Blog on Acupuncture Benefits“. 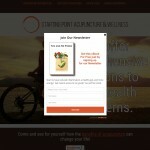 We customized the typical WordPress blog web design with an underlying information architecture that keyed in on acupuncture benefits from a doctors perspective. 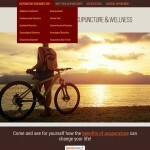 When we launched StartingPointAcupuncture.com Doctor Heintze told us it looked exactly how she envisioned it would. Thank you so much for designing my new website! I really appreciate all the work that you put into it, the website really looks amazing! 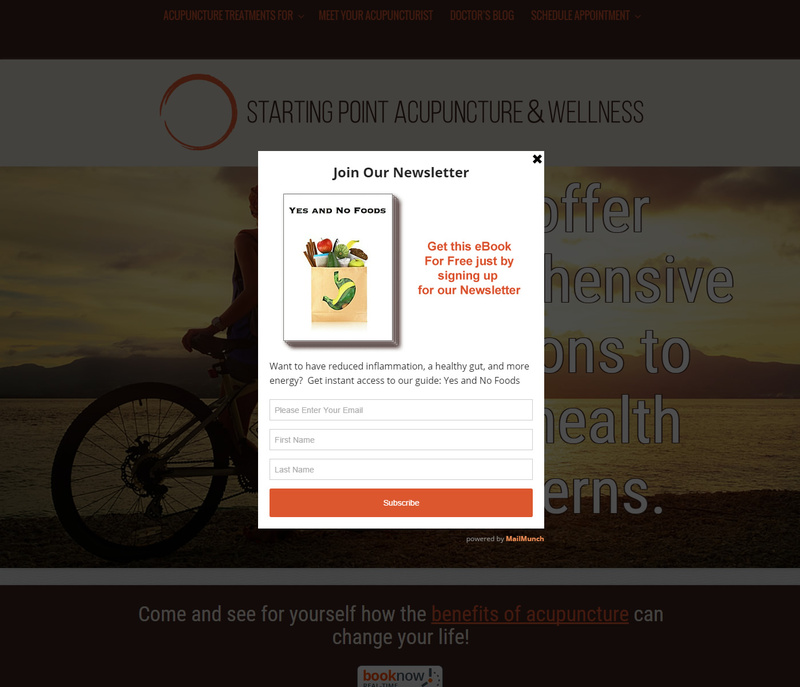 I feel that the website will make Starting Point stand out not only compared to other businesses in the area but provide information to the community about acupuncture and natural medicine.